Father’s Day is Sunday, June 18th this year, and we’re going to make shopping for your old man as easy as if the gifts bought themselves. This list of gift ideas and Father’s Day deals will make his day whether he’s all about function or the finer things in life! Scroll on to find something that will make him feel loved at a low price. If he doesn’t have one already, one of these Yeti cups are sure to get the grunt of approval from any dad. We love these in black, tahoe blue, and seafoam, and Dad will too. Cologne is the gift your old man never knew he needed, but would probably never buy for himself! This woody and earthy scent has a masculine vibe with notes of Virginian cedar and fine aged leather. Knives and tools are like boots: you can never have too many. This Tree Brand by Boker pocket knife is as handy and handsome as Dad is. Just as attractive as it is useful! Made with high-quality top grain leather, this money clip and wallet combo will stick around for years to come. This hat doesn’t need shaping, but it’s still a cowboy hat to the modern dad! Giving Dad accessories and clothes for Father’s Day is tricky, but we think this cap fits the bill. Want favorite child status? This Tony Lama belt will do the trick. Tooled leather and caiman never looked so good together. 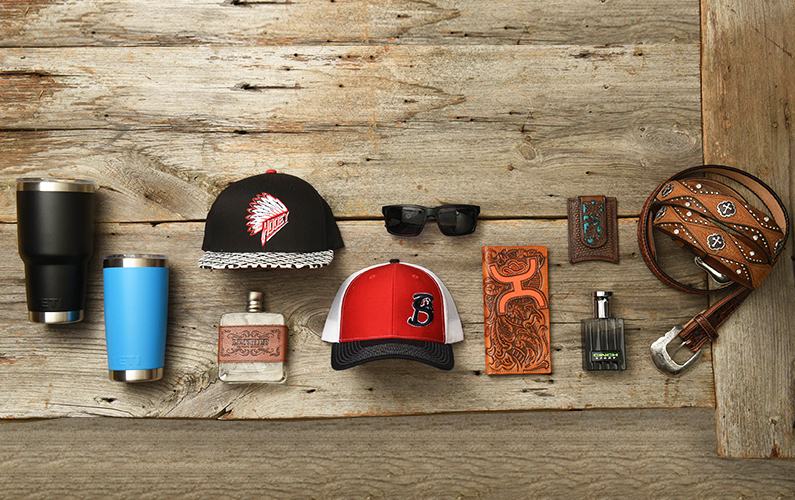 Our favorite wallets are usually made out of leather, but this Hooey one is definitely not the usual. The tooled exterior, roomy pockets, and unmistakable Hooey logo make this more than just a place to put his money! Shop all Gift Ideas and Western Men’s at Cavender’s!